Is your coffee just not doing it for you anymore? Is the taste below average? Ask yourself what else might be in your cup. In order to enjoy that unique, heavenly taste we all love, your machine needs regular cleaning. Professional baristas clean their coffee equipment every single day – and so should you! 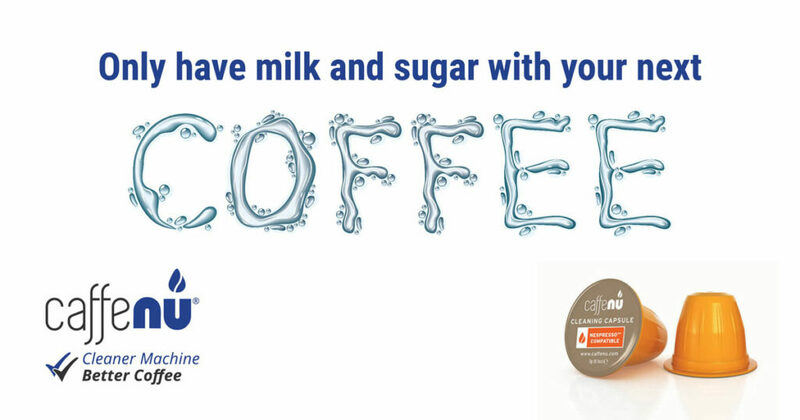 Don’t worry, with our cleaning capsules, we make it easy and quick, because we all need our coffee fix as quick as possible. And who has time for cleaning? Simply pop the capsule into the machine the same way you would with a coffee capsule. Run, rinse, ready. The capsule removes old coffee build-up, dirty residue, tannins, oils and bacteria at the press of a button. And leaves absolutely no residue after rinsing, so your next coffee will be the best you ever had! We recommend to use the cleaning capsule after every 30 coffees made or at least once a month. Find a capsule for your coffee system here. This entry was posted in quotes and tagged caffenu. Caffenu® cleaning capsules now compatible with Lavazza® A Modo Mio® machines for a fresher tasting brew! Our Caffenu Highlights from 2018: Happy Holidays! Your Nespresso® as good as new, your coffee even better!